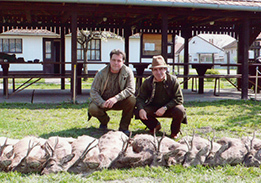 The roe buck hunting is always successful in Hungary on the Great Hungarian Plain using the jeep and stalking or on the high seat. 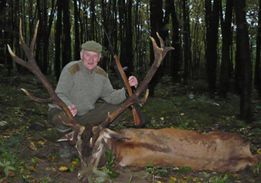 Hungary continues a leader in Europe in the sense of the red deer stag hunting with the priority of the high level quality. 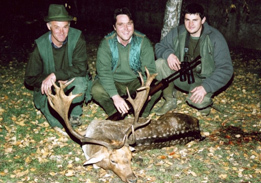 Excellent territories are at disposal of the fallow deer stag hunters in Hungary because we have one of the best fallow deer population. 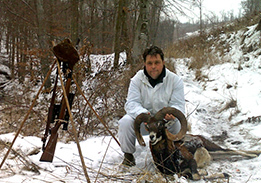 The season of the mouflon ram hunting is very long in Hungary and well combinable with other big games from the beginning of October to the end of February. 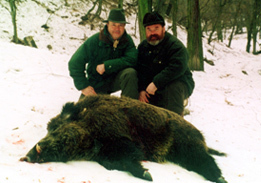 The wild boar is huntable in Hungary during the whole year. It's individual stalking or the boar driving in group is absolutely unforgettable adventure. 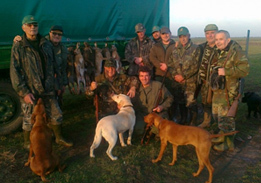 You can find the best hare-population in Hungary on the Great Hungarian Plain in Békés county where the small groups also hunt successful to the hare. 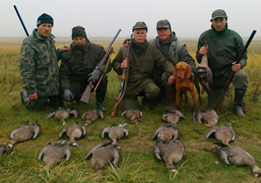 Exclusive pheasant drivings close to Budapest and in the county of Békés with well trained dogs and hard working drivers. 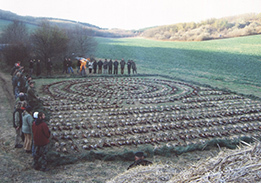 Good opportunities to the wild goose hunting in Hungary close to the National Park of Hortobágy in December and January combinable with wild ducks.